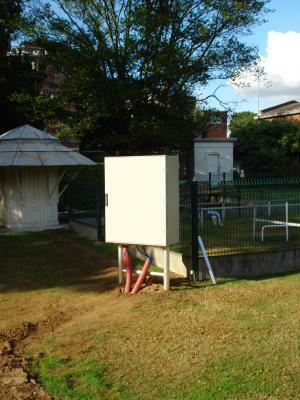 The BISA station consists of 2 radio receiving stations located in the park of the Royal Meteorological Institute (RMI) located next to our institute. 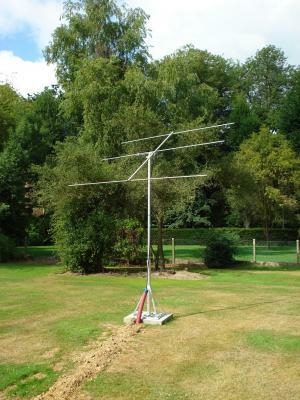 The first station uses a "simple" 3-element Yagi antenna and listens to the 49.99 MHz frequency of the Ieper beacon. 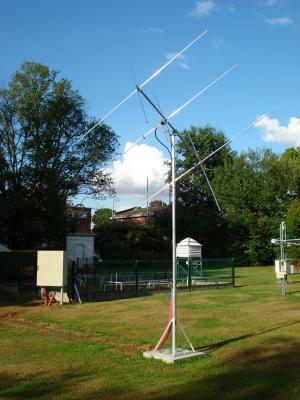 The second station uses a crossed 3-element Yagi antenna and listens to the 49.97 MHz of the Dourbes beacon. This antenna has been designed to measure both polarizations of the incoming signal and will allow us to measure the total power of meteor echoes. 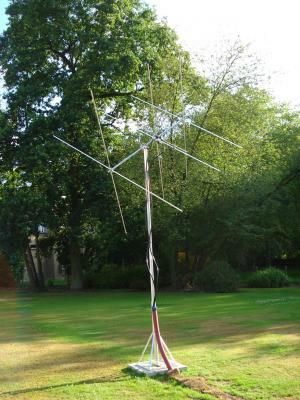 Both antennas are connected to receivers by means of 50 Ohms coaxial cables. The receivers and PCs are located in an airtight box equipped with a thermostat, a fan and a heating resistance to maintain a temperature in the box between 15 and 25°C. 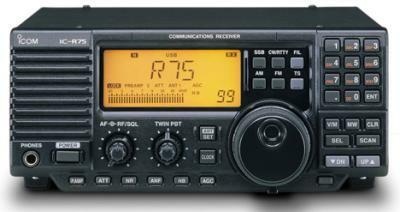 The receiver used for the simple Yagi antenna is a ICOM IC-R75 which allows to switch off the Automatic Gain Control (AGC). 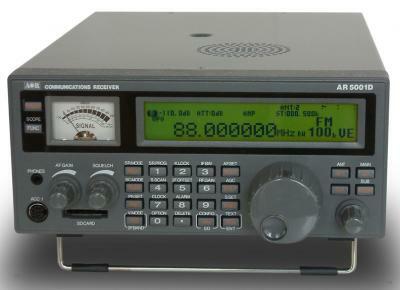 The receivers used for the crossed Yagi antenna are two AR-5001 receivers. With this receiver, the two phases of the orthogonally polarized signals are accurately measured and the two signals can be added to provide the total power reflected by the meteor trail. This will allow quantitative analyses of the meteor power profiles.